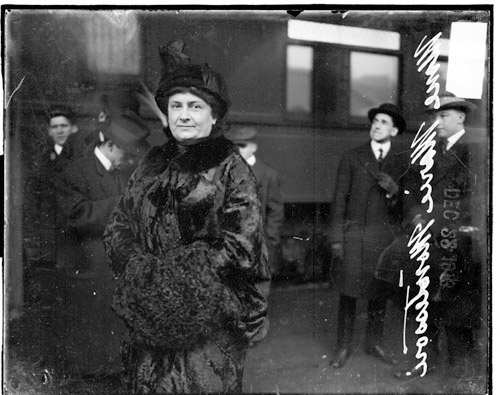 Maria Montessori was a revolutionary educator and educational theorist. She received a medical degree in 1896 and soon began working in a psychiatric clinic at the University of Rome. Her success in raising the abilities of mentally disabled children, by allowing them to use the materials in their environment to essentially teach themselves, prompted her to test her methods on children of normal intelligence. In 1907, she opened a school in one of Rome’s worst neighborhoods. The students were allowed to progress at their own pace; Montessori intervened only when absolutely necessary, otherwise they were free to learn without a set series of tasks. In 1909, she published a comprehensive statement of her educational theory, The Montessori Method, and soon opened a number of other schools in Italy, Spain, the Netherlands, and India. She lectured extensively and established training programs in her method. In 1922, Montessori was named inspector of schools in Italy, but in 1934 left the country to escape Fascist rule. She settled in the Netherlands, where she continued to write. Her later books include The Secret of Childhood (1936), Education for a New World (1946), To Educate the Human Potential (1948), and The Absorbent Mind (1949).